On November 25, in Novi Sad, the unification of the entire Banat with Serbia was proclaimed. Not only that, in order to stop the influx of Romanian attendees to the Great National Assembly in Alba Iulia, Serbian national guards were set up at the crossing point at Bounţari to prevent them from reaching the event. The future patriarch of Romania, Miron Cristea, was one of them. However, the intervention of some personalities such as the journalist Valeriu Branişte had managed to cause enough of a stir to secure the release of the 60 delegates. The Romanians in Banat also expressed their adherence to the decisions taken in Alba Iulia through rallies in Timișoara and Lugoj. After the Alba Iulia assembly, Serb activities against the Romanian population intensified. Thus, many Romanians were deported to various regions in Serbia, with robberies often being committed on the civilian population. (3) The leader of the Romanian National Council in Banat, Aurel Cosma, was summoned by the head of the Serbian occupation army, and was told to cease his activities. It is worth mentioning that this institution, was semi-clandestine, being under the authority of the Central Romanian National Council in Arad. 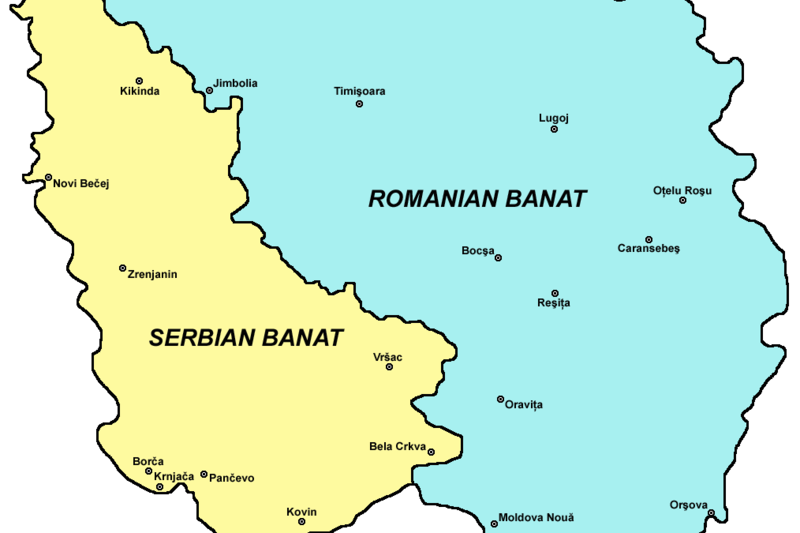 When he arrived in Paris, Brătianu criticizes the abuses of the Serbian army against the Romanian population in Banat, at the same time trying to use Timoc, a region in Serbia inhabited mostly by Romanians as an exchange for western Banat, inhabited mostly by Serbs. On January 31, the conference called on both Romanians and Serbs to present their positions. Brătianu demanded the entire Banat for Romania, arguing its economic unity. Serbia limited its claims, attracting the sympathy of the English, French and Americans. The only ones that supported Romania’s position were the Italians, who lost the Dalmatian coast and feared having a strong Slav neighbouring state. The division of the ​​Banat between Serbia and Romania, intensified the robberies taking place in the central and western regions. Until February 20, the provincial civilian administration remained a Hungarian one, after which a Serbian one was imposed. This was followed by riots of the Hungarian-German workers in the industrial centres such as Timișoara, Lugoj and Reșita. Neither did Otto Roth stop his actions to create an autonomous Banat based on socialist principles, in the vein of the Hungarian Soviet Republic. On February 21, Brătianu drew attention in Paris on Serbian abuse, which was also recognized by one Serbian commander, namely voivode Mišić.